As your Tampa Bay area Authorized Everglades Boats Dealer, Tom George Yacht Group is your new and used boating destination. 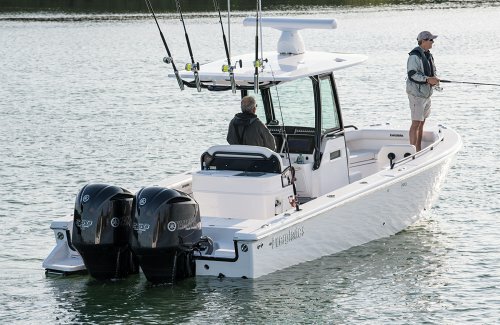 For over 20 years, Everglades has been building cutting edge, semi-custom offshore center consoles and family-friendly cabin boats in Edgewater, Florida. Using the latest technology, including their patented closed molded RAMCAP® construction process, Everglades boats are unsinkable. Come visit us at our Clearwater or Dunedin location and see for yourself what sets Everglades apart from the crowd. Want to see more Everglades? I'm interested in Everglades Yachts! TGYG Everglades Specialists are here for you to answer your questions. At TGYG we work tirelessly to deliver a first-class boat buying experience!